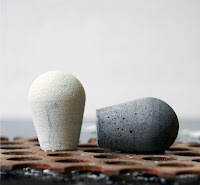 Kast Concrete features concrete knobs created by Grey Hensey, a full-time furniture designer in Atlanta. The knobs are cast in rubber molds resulting in a smooth finish. Grey was quoted in the Wall Street Journal saying, "Everyone is using raw materials like metal, wood and concrete, but by creating a glassy look, I'm trying to expand people's perceptions of what concrete can be. It doesn't have to look like a sidewalk, it can be delicate and refined." According to Kast Concrete's ScoutMob Shoppe, Grey's endeavors started with a simple project in school, designing and making concrete tiles. But Grey became fascinated with the utilitarian material and began experimenting with concrete, perhaps a little obsessively. Kast Concrete makes a straight-forward commitment that I believe we can all get behind. Kast Concrete is committed to modernizing timeless design, through exquisite concrete decor. Kast Concrete is committed to its unique customers, through timely, friendly service. Kast Concrete is committed to American handmade, through each 'hand-kast' product. Kast Concrete is committed to the planet, through concrete recycling. Sounds pretty great, doesn't it!? Check out the four styles of knobs Grey is currently offering, each available in your choice of light grey or charcoal color. PRIZE: One lucky winner will receive a set of six Kast Concrete knobs in the style & color of their choosing ($48-51 value). TO ENTER: Leave a comment on this post noting which style of knobs you like best. EXTRA ENTRY (optional): Follow Kast Concrete on Pinterest, then leave a comment on this post noting you have done so. EXTRA ENTRY (optional): Follow Kast Concrete on Twitter, then leave a comment on this post noting you have done so. ENDS: Sunday, October 27th at 9pm CST. Hard to decide as they are all very unique and beautiful. But I think I like Betty best. My favorite style is the ETIENNE! I love the Myrtle knobs! I think the Alice would fit a project I'm working on. I'm decorating and putting up a Little Free Library, and I really don't care for the tiny door handle that came with it. Ooh, the Myrtle knobs in charcoal would look amazing in my house! Love these! My fave is the Etienne. I also followed Kast Concrete on Pinterest! Etienne is definitely my favorite! It is gorgeous! I like them all, but I love the Alice Knobs the best! Thank you for the giveaway! 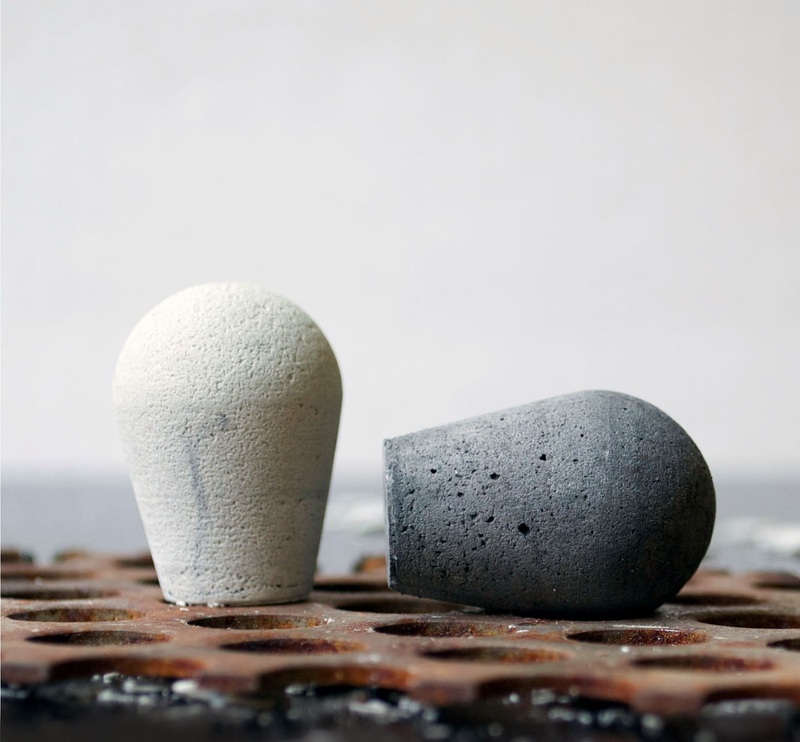 Kast Concrete is new to me and I love it! Hey, Etienne is the tops in my book. I can already imagine putting them at different levels in a remodeling project I'm undertaking!! I like the Betty knobs best. So streamline!